Another trimester has come and almost gone. We are nearly two thirds of the way through the year! Very few seconds were ill spent, which sure does make the time fly. Being a teacher also puts the education of my own children into its proper perspective. Take the conundrum of pencils. We currently have 6 pencils in our drawers at home. They are either semi-dull, dull to the point of unusable, or have never been sharpened. Do we own any pencil sharpeners? No. 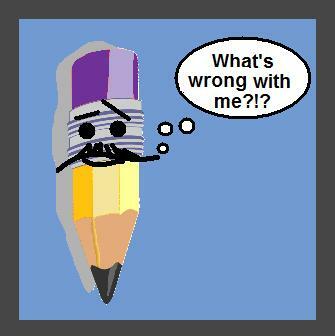 I mentioned this to a fellow teacher at school, and he said that he also had no sharpener. Why spend the money when a knife works just fine? In the spirit of modern times, I have started to wonder if the old ways of well-stocked desks are a thing of the past. How often do we use good old-fashioned hand tools like pencils in our every day lives anymore? What is their purpose when we have computers? And erasable pens? And touch screens that allow us to write with "pens" ON the computer? Is it worth the battle to expect students to bring pencils to class every day, when there is so little need for them in their future lives and careers? Because I have tried everything. Warnings. Parent emails. Sending notes home. Trips to clean lockers. Trading for a shoe. Writing their name on the board. Just giving pencils out for free every day until I'm out. And the pencils still will not come. 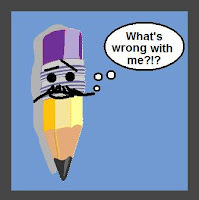 On any given day, there are at least 3 students in every class who forget a pencil. They have pens (some erasable, some not). They have markers. And sharpies. And gel pens. And highlighters. But a pencil? PSHAAAAW! And if there is a pencil, chances are it's the fancy refillable kind with it's very own size of lead that no one else has. Aaaand it's empty. I can't say myself that I find pencils to be a particularly efficient or motivating tool. They must be sharpened, which requires either prior planning or verbal permission to get out of one's seat, thus drawing attention to the sharpener and often disrupting instruction time. Even electric pencil sharpeners tend to jam easily. I think I went through 4 during my first year of teaching, at my own expense of course. Then, there are always a few students who forget that colored pencils jam and dull the sharpener, rendering it useless for the next customer. And worst of all, the ultimate embarrassment, is after all of this drama, having to enter the neighboring classroom to use THEIR sharpener! Thus, many students choose to sit at their desk and simply not do any work at all, because they forgot (or intentionally didn't bring) a pencil. Which I cannot and will not accept. The reasons for needing pencils in education are dwindling as well. State and school tests are often online. Students can fix errors on tests just as well with an erasable pen, as a pencil. Teachers have original and fancy correcting tools of their own, totally unique in color and format to their students, and very few grade with the old-fashioned nasty red ball-points anymore. Not to mention that a vast amount of student work is now done on the computer. Assignments can even be sent via email to the teacher, sans printing! So we come to a cross roads, as educators who were educated in the twentieth century, when the pencil was hallowed as "the" tool. Our students, born and educated in the twenty-first century, avoid pencils like a zombie plague. Who will win this epic battle? Zombie teacher? The pencil? The sword? The pen?